Night time temperatures for the first two weeks of July have been near record breaking at many stations across the Hunter. Temperatures have been recorded as low as -6.5°C. These consistently low readings have been the coldest since July 1986. Because of the low temperatures, morning frost has been quiet severe with reports of plumbing and paddles freezing in the inland areas. 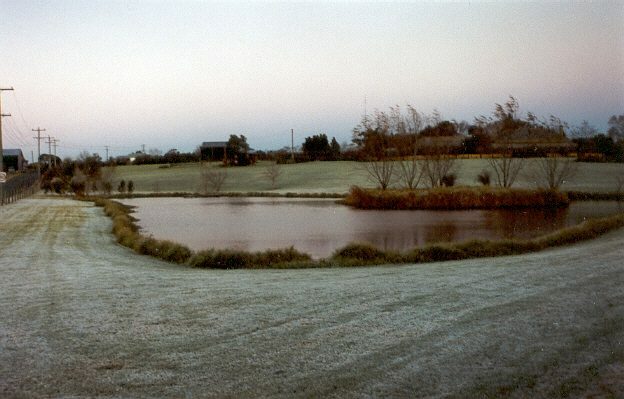 The vegetation surrounding Maitland, Cessnock and Singleton have all showed signs of frost bight. This has not helped the current dry spell that is presently gripping the region. Up until this morning, most locations across the Hunter have recorded nill rainfall since late June. The dry weather is partly responsible for the cold overnight temperatures. Dew point temperatures for the last few weeks have been below 0°C. Because there is little moisture in the soil and air, both the air temperatures and ground temperatures have dropped well below freezing on calm clear nights away from the coast.